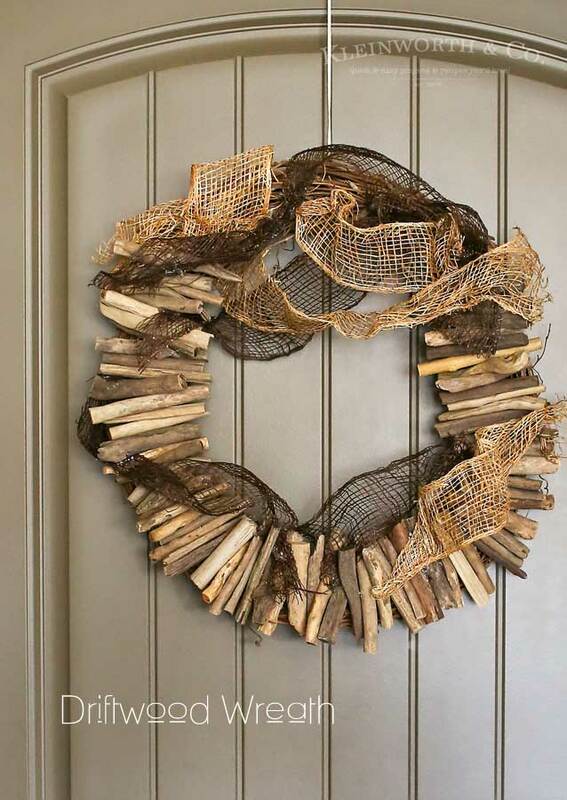 A simple Driftwood Wreath is a great way to bring a little coastal decor into your home. My quick tutorial shows you how you can easily make your own. Just 4 products & 20 minutes is all it takes. I love beach decor. Since I grew up in So Cal I think I’m drawn to it because it reminds me of home. My mom decorated with a coastal vibe & anything that reminds me of her is comforting & makes me want more. So it’s no surprise that even though we live in North Idaho, our home has a distinct beachy vibe through most of it. Cool blues, greens & neutrals are in just about every room. I’m still working on fine-tuning things & adding decor that is closer to the feel I am after in my space. 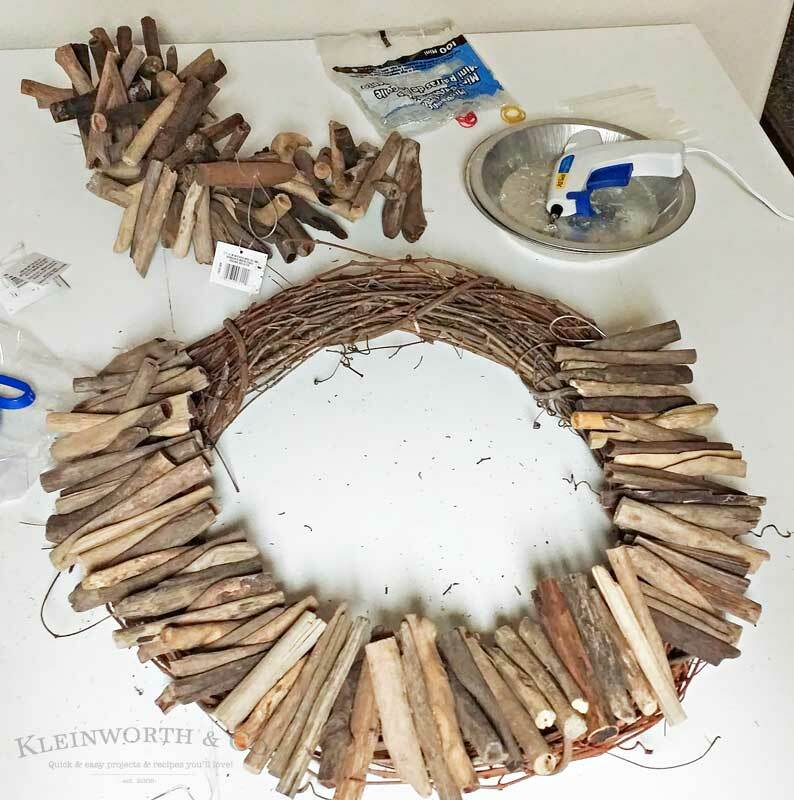 One thing that I had been wanting for a while was a driftwood wreath. I knew I could create my own with very little effort- so I ordered a few supplies & got to work when they arrived. 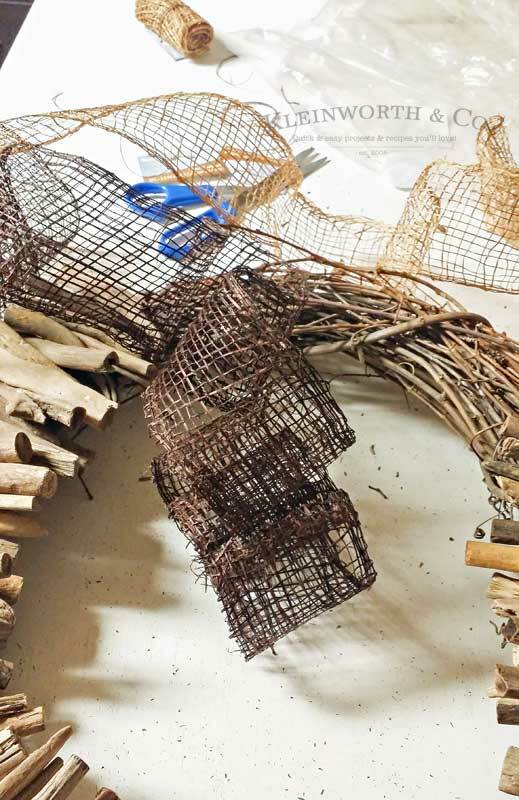 I started with a grapevine wreath, 1 strand of driftwood garland (3ft long), jute ribbon & my mini hot glue gun w/ glue sticks. That’s it. I glued one of the garlands around most of the wreath form. Then I just started hot gluing the jute ribbon in the empty space where the garland wasn’t long enough to complete the circle. I just started making loops & gluing until I got it to a point where I thought it filled the space well. No real method, I just based it on what I liked. 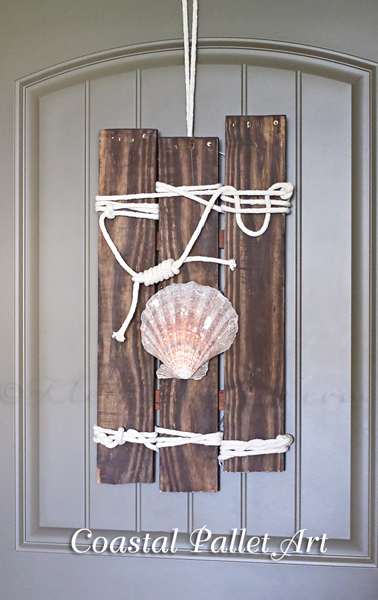 I did take a little piece of twine & tie a loop on the back for hanging just to make it a bit more secure when hanging up. I originally had planned this for above the mantle. Unfortunately, the original wreath there was my massive corn husk wreath that filled the space quite well. This one is much smaller. So it’s perfect for the powder room- which is where it lives now. 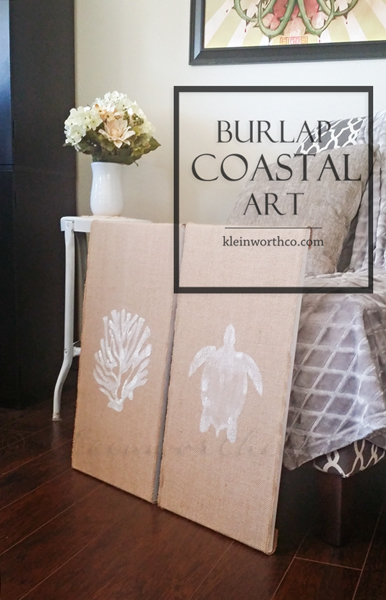 If you love coastal decor, this is a quick & easy way to add a little to your home too. Here are the items you need for this project! 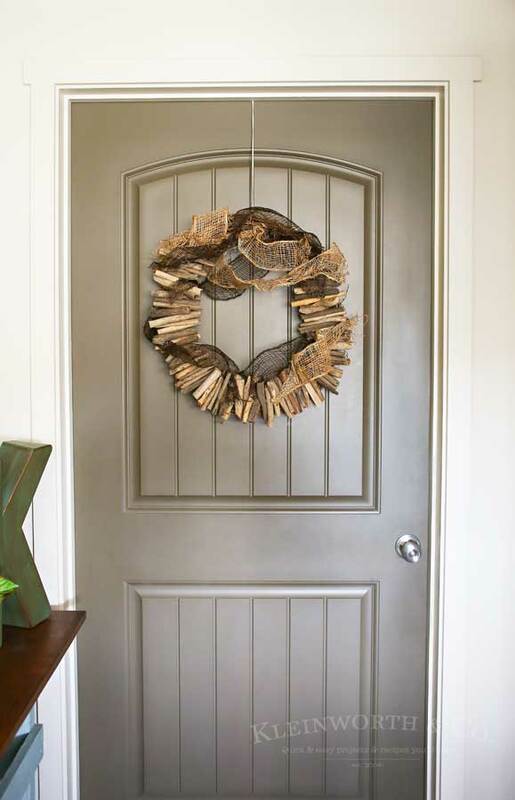 Looking for more of my favorite projects for the home like this Driftwood Wreath? That’s so cool! Very nice beachy vibe! 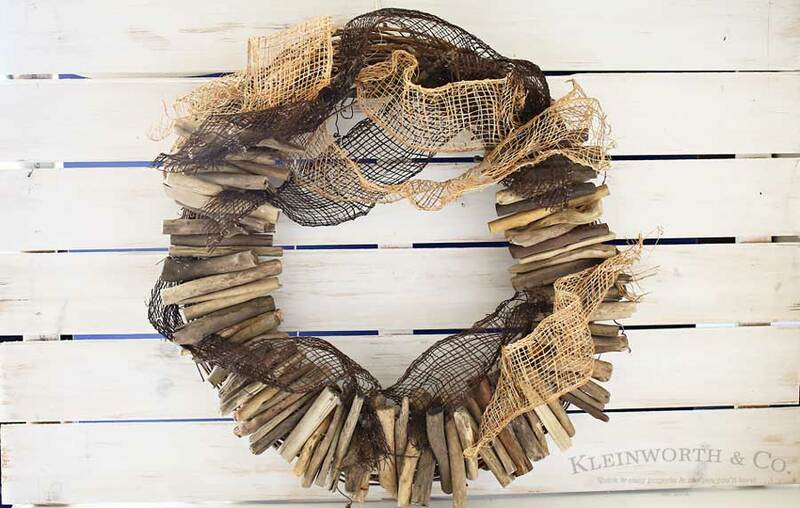 I love your driftwood wreath, my daughter has a place she can collect driftwood, but I didnt know you could order it. I guess I just never thought about it, but I will now!! Thank you for sharing on the Oh My Heartsie Girls Friday Features!! 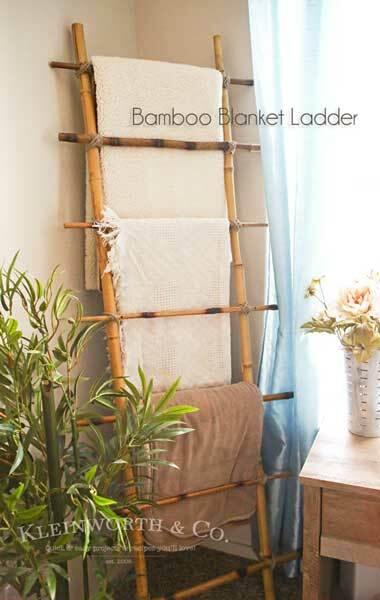 Great project and easy instructions. 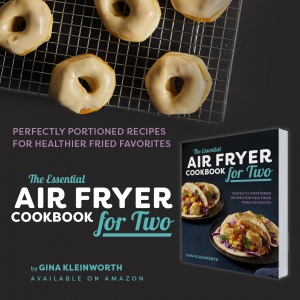 I’d love to have you share at the DIY party! Oh my, love that wreath. Makes me wish I lived near water to gather driftwood. Thanks for sharing on Let’s Get Real Friday Party. I’ll have to grab more driftwood and make a wreath. Thanks for sharing at the #InspirationSpotlight Pinned & shared. See you again soon!